Metallic lipsticks seem to be all the range recently and here we have with us the Maybelline Color Sensational Matte Metallics Lipsticks. This range has a total of 10 new matte metallic shades and is part of the Maybelline's Color Sensational line. It is stated in its description that all 10 of these can be worn on its own or can be used as lip toppers to transform any lipstick preferred. Now this is great for anyone who is looking to add a little flair to their makeup look or even subtly change it up because upon application, we noticed that the shades glide on effortlessly and gives an even coverage to the lips without leaving any patches as well. 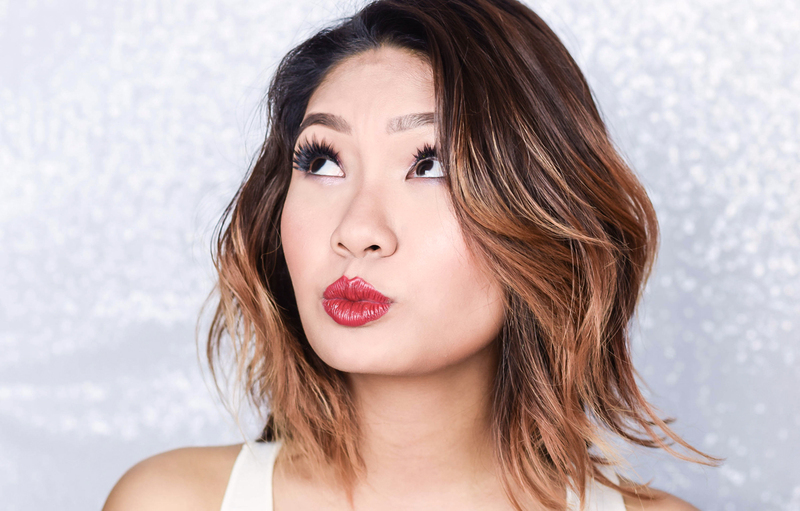 However it is good to note that these shades are a little bit sheer, so you might need to go over the lips more than once if you are looking to add a good amount of intensity and shine to your overall look. It is also best recommended to exfoliate the lips and apply a balm before having this on as well because it was noticed that darker colors tend to cling on to any dry areas over long wear application too. As for its retail, the Maybelline Matte Metallics by Color Sensational comes at RM26.33 at 3.9g each and consists of the shades White Gold, Pure Gold, Copper Spark, Hot Lava, Copper Rose, Molten Bronze, Silk Stone, Gunmetal, Spiral Galaxy and Fire Quartz. 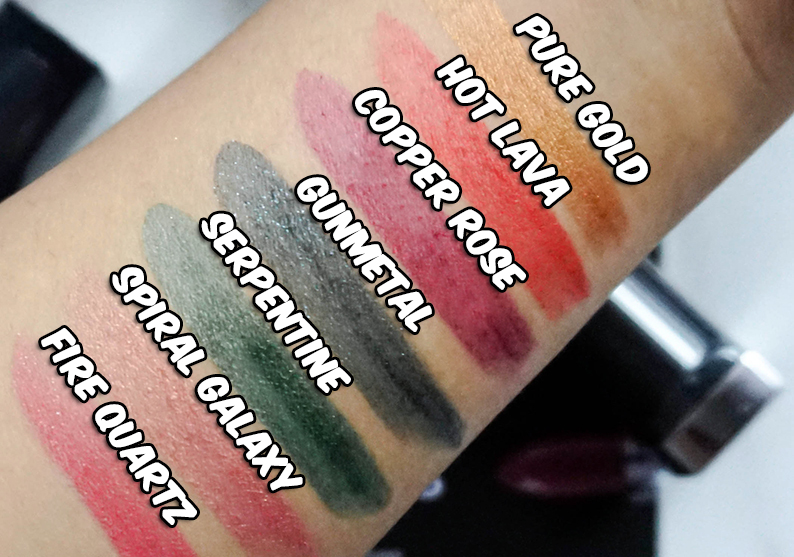 However as we only have 7 shades launched out of the 10 in Malaysia, all 7 swatches will be referenced below just in case. In the meantime, all these shades can be found at local drugstores nationwide, but for further details, do check out Maybelline's Official Facebook Page and Website for more information.